April 12 is annual celebration of Day of Space and Rocket Industry Workers in Ukraine. This holiday was established in 1997 by President Leonid Kuchma. President Leonid Kuchma signed Presidential Decree On Day of Space and Rocket Industry Workers of Ukraine on March 13, 1997, thus creating a professional holiday for the employees of this field. This holiday was established to acknowledge important contributions of workers of rocket and space industry in the research, development of modern rocket and space technology and introduction of high tech to the national economy. State Space Agency of Ukraine provides implementation of state policy in the field of space research and activities. This Agency was founded in 1992 as National Space Agency of Ukraine, in 2010 it was renamed. 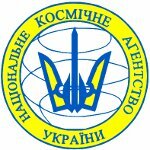 National Space Program of Ukraine is the basis for agency activities. The program is developed for the period of five years. Employees of space and rocket industry annually receive congratulations from the government representatives, local authorities and heads of the institutions on this day.